Kerala says it will demolish the old Dam and construct a new Dam. How will a new Dam save Kerala? It will also have to face earth quakes? It can also get cracked in an earth quake. In fact many Scientists believe that “Dams create the Earthquakes”. The Huge amount of water stored in the reservoirs is the cause for many Earth quakes. So, Kerala’s theory that a new Dam will save them is as theatrical as to say the old Dam will fail in an Earth quake. Both new and old Dams are vulnerable in the event of an Earth quake. Adding to this, there is a scientific proof to link Dams as a cause for Earthquakes. If Kerala’s claim that Mullai Periyaru Dam is in a seismic zone, it holds true for the new Dam it plans to replace Mullai Periyaru. As nature of Earthquakes is unpredictable, so does the stability of the Dams even if it is constructed with ultra-modern technology. There is no 100% safety for the new Dams or Old Dams. So, what’s the aim of Kerala? What is the ultimate motive behind this massive PR campaign of Kerala and Malayalees ? As much as the Kudankulam issue which tries to give power to the Business elites, Kerala’s cry about Dam safety has more Electricity and Economic reason than Safety. Kerala’s PR machine does not oppose the Dams in total. They selectively oppose only Mullai Periyaru Dam which is in the control of Tamilnadu. They don’t oppose the Idduki Reservoir which gives electricity to Kerala. If Dams are totally bad as “Dam 999” says, why would they want to construct a new Dam? Should not they get rid of all Dams in Kerala (Like the Elwha Dam removal in USA) ? The whole issue comes down to the perception of Kerala that Tamilnadu pays less taxes for the water and electricity it produces from the Mullai Periyaru Dam and that Kerala could not meet its state demand of electricity from its Idukii reservoir. If Kerala needs to reprice the taxes that Tamilnadu pays, it is only reasonable for it to come out openly and ask for new taxes based on the current Inflation. But Kerala indulges in fear mongering to achieve multiple purposes. The lease of the land to Tamilnadu for 999 years will expire automatically with the construction of new dam. Power and Economy are the primary motive behind Kerala's fear mongering PR drive. In this PR campaign Kerala unleashes many fictional stories, such as Kerala's claim that the Agreement of 1886 to give Tamilnadu the rights for 999 years was not a fair deal and it was thrust on it in by the erstwhile British Presidency of Madras on the Princely state of Travancore. Kerala’s fiction is that the mighty British empire forced the agreement on the small Princely state of Travancore. However, in 1970 the Kerala (Chief Minister C. Achutha Menon) and Tamil Nadu governments signed a formal agreement to renew the 1886 treaty almost completely. In Independent India, when Tamilnadu lost its lands such as Devikulam and Peermade to Kerala, it can only be fictional to say the Agreement was forced on Kerala. Kerala’s well-oiled PR machines uses sleight of hand tactics to hide the actual reason and fabricates Mullai Periyaru into a safety issue. Kerala claims that it is ready to bear the cost of constructing a new Dam and it is magnanimous enough to provide water to Tamilnadu. It portrays as if it is concerned only about the safety of the people. But the actual fact is, the day Kerala starts its new Dam construction, Tamilnadu loses all its rights as the old lease agreement will expire automatically. It is a well calculated game plan of Kerala. After all, Malayalee IAS, IPS and IFS officers run entire India. So, they know better lobbying than slogan shouting Tamils. Kerala is a water surplus state. Kerala is not dependent on Agriculture and does not grow crops such as Paddy in its river basin. Kerala imports most of its food products from Tamilnadu. So, water is not the problem here. It’s again the power politics, politics of money and Power, is playing here. 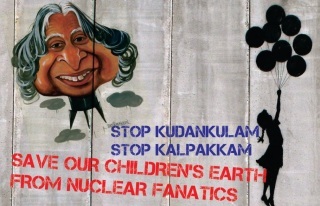 The same power issue which haunts Tamils at Kudankulam is haunting us in Mullaiperiyaru also. As I said in this article, Dams are always Dangerous and we should avoid Dams. Let’s start a debate of carefully demolishing all the many mindless Dams constructed in many Rivers. Tamilnadu being the downstream state of many rivers was a victim of many mindless Dams constructed across rivers such as Cauvery. I am all for demolishing such Dams in a systematic fashion like the Elwha Dam removal in USA. Let’s carefully demolish all Dams across Cauvery. Let Nature runs its own course, whether it is Cauvery or Periyaru river. Tamils were just reduced to slogan shouting, Tamil jingoistic herd; Look at Malayalees who have unleashed their PR machines in a much more sophisticated pattern. From Hollywood movies to Save Mullaperiyar campaign in Facebook, their campaign is a well-oiled PR Machine. Tamils need a better PR machine to expose Kerala’s Political Games. Let’s bring out these facts rather than just slogan shouting Tamil jingoism. And this documentary is also informative to learn the issue further. there was a protest in PALAKKAD to oppose salem railway division!Medical wastes were brought to cochin harbour then transported and thrown near udumalaipet.wat to say......!We,Tamilians are left with only slogans! "When India became independent, the lease got expired. After several failed attempts to renew the agreement in 1958, 1960, and 1969, the agreement was renewed in 1970 when C Achutha Menon was Kerala Chief Minister. According to the renewed agreement, the tax per acre was 30 RS, and for the electricity generated in Lower Camp using Mullaperiyar water, the charge was 12 RS per kiloWatt per hour. This was without the consent of the Legislative Assembly of Kerala. This agreement expired in 2000. " is it true? People are pointing to this and saying we are not saying truth. There are many misinformation floating around. So, let's look at some good source of information. It does not say anything about the Agreement expiring in 2000. There were many legal battles fought in the Supreme court in the last few years and Kerala did not get a favourable judgement. If Kerala's argument is correct, why did Supreme court ruled in favour of Tamilnadu to raise the level of Dam ? You nicely tried to deviate thoughts of people in favorable to Tamil Nadu, As you have already mentioned first as you proud to be Tamil and you will fight for it. So there is no value for your statements related to Kerala. Let me clearly tell you one thing. This is not a issue between Keralites and Tamil. Because we never tried to make an isolation between you and us. 90 percentage of population staying near to Mullaperiyar is Tamil and they also need protection. Who will give it? Tamil Nadu Govt? Can you do that? You have proved in your first sentence itself that you are not a proper person to debate on Keralites feelings or anything. Please do not waste time by thinking about Malayalees, as we always tried to make everyone in safe and never tried to made a barrier between you and us. First go and try to solve the political problems which exists in Tamil Nadu. This is not a time to debate on things but as you taken so much time to think and make it favourable to Tamil, let me tell you few things which you may know. Mullaperiyar is made of stone and surki( A mixture of sugar and Calcium oxide)which do not have the ability to survive for a long time and the person who constructed the DAM mentioned the age of this DAM will be 50 years. After knowing this why 999 year contract had been prepared and send pressure to the Travancore Maharaja to sign the contract from the British govt. 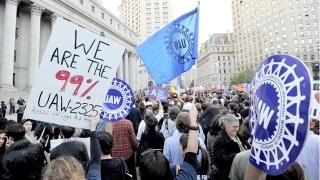 We all knows that they want to destroy us and still beleving on their contract. So who is stupids??? 90 percentage of population staying near to Mullaperiyar is Tamil and they also need protection. Who will give it? Tamil Nadu Govt? Can you do that? About the safety of the Dam, i acknowledge the fear in the minds of people. But building a new Dam will not simply solve the problem. New Dam is also Vunerable to Earthquakes. I am an Environmentalist and in principle against all Dams. Let's demolish all Dams and let nature run its own course is my Stand which is idealistic and may not be pragmatic. But that's my stand and will support Kerala if Kerala needs all the Dams demolished including Idukii reserviour. Are you ready ? If not, then i have to expose your double standards. The problem here is for every point raised by Tamilnadu, Kerala can give an opposite point. And for every point Kerala puts forth Tamilnadu has a valid counterpoint. So, where will we end ? As you belong to Kerala you will fight for Kerala. 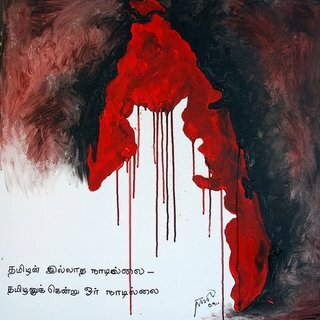 I belong to Tamilnadu and i will fight for Tamilnadu. So, what's the solution ? Shouldn't the National Parties such as BJP, congress and communists have to take a National Stand to solve these issues ? But they take stand which suits for their politics in each state. There is simply no national leadership in India. India as a nation is a myth. Just like Africa, the Indian Sub-continent contains more than 25 different nations each having its own interests. very clear statement. thanks sasi. bro.. am a person living at the danger prone area of mullaperiyar dam.....i don know whether a new dam can save us or not....but this age old dam will surely kill all of us..!! do you think that an old dam, built when dam engineering was at the infant stage and factors like earth quake wasnt taken into consideration, would hold up even now? do you think its worth taking a risk of 35lakhs of people's life? you say, Kerala is economically motivated. TN buys water from Andhra @ Rs.3000 crore per TMC every year. Kerala releases 70TMCs of water every year and what TN "throws" back is a meager Rs.40000 (which was decided by couple of kings a century ago). so dont tell me that TN is not monetarily motivated. honestly we dont care about the money or water, because God has given us enough, but what we need is "fear free" lives. do you have any idea, how is it like to live in the valley side, sleeping, not knowing when the thing's gonna break? why is Kerala not demolishing Idukki dam? - because it was constructed a century later, in 1975 with foreign collaboration, taking into account various factors like earth quakes and not to mention better building materials, like M30 concrete. so we dont show any double standards. we want to demolish Mullaperiyar, just because it was to be demolished 67 yrs ago ! How can you write a blog like this ? Kerala already told , its not about water or Mullaperiyar is not a water dispute issue .. its simply about life of 35 lakhs people.. Do you know Mullaperiyar was built 116 years ago and the life of this was calculated as 50 years. None of the dams are safe, even Idukki dam have a life span, we knew about it.. Mullaperiyar dam constructed with out cement or anything, and moreover there are cracks on the wall ... so its really dangerous. Counter to your arguments... jst few questions ? 1. What is your problem with construction of new dam ? 2. Kerala govt already told, they will find the money to construct the new dam. 3. Do you know 4 districts of TN are using water from Mullaperiyar ? Well dear Sasi do u have anybody leaving near the dam and faces the consequence of the failure of dam if not then u better keep quite.... u dont have an idea living under the shadow of death .. my Tamil brothers and sisters lets not get political and regional ... lets take measure to see if there is an issue with dam then lets take steps to resolve it .. and not point fingers and loose valuable time in saving innocent life ..
Whats your opposition if Kerala state government is planning to build a dam in their own state, on a river that originates and flows into Kerala. Anyways that is a secondary matter. But first of all.. whats your problem if a new dam is built, and the Kerala CM has publicly announced that the dam will be planned in such a way that TN gets the same amount of water that they are getting now? The issue here is quite simple, TN is getting water now for a very low amount. Nobody from TN wants that to end. Nobody is asking for your money to build a new dam. This is going to be done by Kerala itself. Also,look at it from a humanitarian point of view..not political..
One more thing..What political gain does Kerala politicians from all parties expect to gain if they are trying to raise awareness and campaign for a new dam? One of the worst and idiotic arguments is this--- " The strengthening measures taken on a 115 year old dam (made of surki and stone) has made the dam as good as new" ... its like saying this..I have done servicing on a T model ford and and yes..its as good as new now.. I can simply say that this is just the word of a politically addicted Tamilian. But neither an environmentalist nor a humane. 1) You mentioned - "How will a new Dam save Kerala? It will also have to face earth quakes? It can also get cracked in an earth quake." A third type of embankment dam is built with asphalt concrete core. The majority of such dams are built with rock and/or gravel as the main fill material. Almost 100 dams of this design have now been built worldwide since the first such dam was completed in 1962. All asphalt-concrete core dams built so far have an excellent performance record. The type of asphalt used is a viscoelastic-plastic material that can adjust to the movements and deformations imposed on the embankment as a whole, and to settlements in the foundation. The flexible properties of the asphalt make such dams especially suited in earthquake regions. 2) "It portrays as if it is concerned only about the safety of the people." The scenario of both the DAMs are same. Only difference is that -The Banqiao_Dam failure killed an estimated 171,000 people. If things go like this, Mullaperiyar may kill much more. 3) "Kerala is a water surplus state." Agree to some extent; Did Kerala govt. ever conveyed that Tamil Nadu will not be given any water lesser to what they are getting after constructing new DAM? 4) "In the case of the safety of the Dam Tamilnadu Government and its PWD Engineers claims that it has done several Dam Strengthening measures. So, the old Dam is as good as a new Dam. Also, they claim that from the place where the new Dam is going to be created, Tamilnadu can't fetch the water. So, when a new Dam is constructed, Tamilnadu will not get any water and the entire South Tamilnadu will become a Desert "
A) After 2011 earthquakes, the condition of the DAM is clearly alarming. This has been confirmed by the so called Geological experts(IIT). 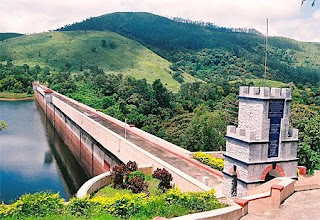 "Geological experts(IIT), after a deep study had given a verdict that the 116-year-old Mullaperiyar dam will not be able to withstand even a mild quake of 5 in the Richter scale.Idukki district had experienced as many as 23 mild tremors within the last 6 months." B) Leakages can be seen in the dam site. With every seismic movements, the leakage increases and also new leakages appear. C) Kerala government is assuring that the water that TN is receiving now, will be given even after constructing the DAM. Then where is the problem in fetching water and south TN becoming a desert? This arguments that Tamil Nadu government follows, is not to protect the interest of Tamil nadu people. They want to keep the Tamil people from knowing and understanding truth. The absolute example is ban of film - Dam 999. I am from the land of Lord Ayyappa, where people from all parts of the world are coming with the same dress code, unity and chants. Let us pray for a better solution, not through invited calamities. There is a story behind the Kerala government’s demand for demolishing the Mullaiperiyar dam. It does not like the idea of a neighbouring State having control over 8,000-odd acres of land in its territory. Having failed in its attempt to get the 1885 Lease Deed declared null and void through legal means, it sued for upward revision of lease rents and won. In 1970, the enlightened Kerala Chief Minister C Achutha Menon renewed the lease agreement on terms much better than the 1885 ones. He never raised the safety issue of the dam because he had confidence in the ability of the Tamil Nadu engineers to protect it. He wanted the fishing rights in the Mullaiperiyar reservoir to be transferred to Kerala. Tamil Nadu readily agreed. Six years later the Idukki dam, 30 km downstream of the Mullaiperiyar dam on the Periyar, with a capacity to store 71 tmcft. water, was completed as a hydroelectric project. The expectation was the dam would fill to the brim twice in a year, during both the north-west and the south-east monsoons. That never happened in the first two years. 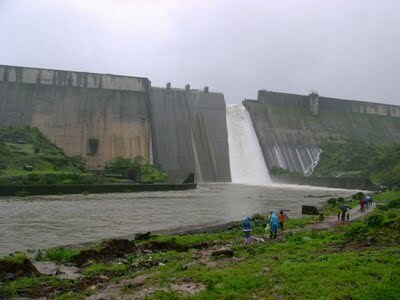 It was then the late K Karunakaran and engineers of the Kerala State Electricity Board who came out with the strange idea of creating panic in Kerala that the Mullaiperiyar dam was in danger of bursting and the lives and properties of 35 lakh people living in the districts of Idukki, Kottayam, Alapuzha and Ernakulam were in danger and request the Tamil Nadu government to perform the obsequies of the dam. It was a clever ploy to kill two birds with one stone. Idukki would get its fill and the land lease would become redundant. In the unlikely event of the dam bursting in spite of all these safety measures, the entire water will flow into the Idukki dam, 30 km. downstream. There are no big towns in this short stretch of sparsely populated forest area. Of the two medium-size towns, Kumuli is located at an altitude of 3,350 metres and Elapara 4,850 metres above sea level whereas the Mullaiperiyar reservoir is at an altitude of 2,890 metres. Therefore, the dam is of no threat to its inhabitants. Kerala’s allegation that the Tamil Nadu government is indifferent to the lives of Malayalees is a travesty of truth. Eighty per cent of the people living between the two dams are Tamils. The States Reorganisation Commission in its report submitted in 1955 found 90 per cent of the population of Peermedu and Devikulam taluks of present-day Idukki district was Tamil and recommended its cession to Tamil Nadu. K Kamaraj, then Chief Minister, refused to stake his claim to annex the two taluks. Had he done so, the present dispute would not have arisen. அரசியல்வாதிகளின் சூதாட்ட களமாக மாறிவிட்ட தமிழ் நாடு , டைடானிக் கப்பல் . உங்களைப் போன்ற இளைஞர்கள் தான் , மூழ்கிய கப்பலை கரை சேர்க்க வேண்டும். Dear Sasi First of all I do not have an in-depth knowledge of Mulla(i) periyar dam issue in the beginning but happened to watch a few non stop propaganda of kerala TVs with titles of water bomb and save kerala.The same issue has arisen earlier a couple of years back but subsided.Couple of days back happened to read an article written by one Ms.Radhika Giri plus its comments suits to individuals tastes and feelings which could be noticed which part of Indian state they belong and support. Yesterday dig my head into you tube where only one valuable argument put forward as you have linked here "The Mullai Periyar Dam Real Story”. The rest all either few minutes clips of individual’s itch of supporting movie 999 or a well spoken American accent propaganda machine against Mulla(i) periyar dam. As mentioned somewhere here national integrity of India is simply a myth or our Indian constitution simply binding us together by nominal face value but the strength and weakness of India's integrity is the so called Am athmi, common man. .When a real issue comes every individual is felt with his/her own identity of language and soil she/he belongs to. Earlier political rivalry of Mr.Karunanithy and M.G.R about to start a divide between two state people's mind which have failed just because it is between two powerful men's rivalry and not to affect the whole state. But this time is different as water issue might brink an unbreakable already boiling point of two state people at both ends. Culturally and by language both kerala and tamilnadu are tied together but still a difference of feelings exists between us. Again the same cultural, language ill feeling is the reason of Menon, Nirupama Rao, Nambiar etc surnames which gives an impact of other way round thought of how Tamilians feel of these power hungry mongers. A power game is playing too instead of an amicable answer to the problem. Dear Sasi, The dams are five year plan of Nehru’s era and cannot be made a u turn and we have traveled a long way with time and techno, echological changes. Every individual is living with his/her own span of time and Kamaraj is no exception. The same theory applies to M.G.R who has agreed to downgrade the water level from 156 decimal to 136.It's now Jayalalitha vs. umman chanti plus chief ministers turn but they also cannot bring a miracle salvation to the problem. Why? The water and dam issue is not looked into technological point of view rather a short sighted political binocular. The real answer of technology possibility is taken a back seat. Once happened to watch a Discovery science channel bridge construction somewhere in France as well as USA.To simply say a mission impossible is accomplished. Man has to travel with time and we do not know what is stored for the two states in near future with this dividing mind. இயற்க்கை சீற்றங்களால் முல்லை பெரியார் அணை பாதிக்கப்படும் என்ற கவலை இருந்தால் புதிய அணை கட்ட இருக்கும் கேரளா அரசு 10 to 100 அடிக்கு முன்போ, பின்போ ஏற்கனவே உள்ள அனைசுவரு களுக்கு அருகே கட்டலாமே? ... இதில் எந்த அரசியல் நோக்கமோ, பொறாமை, போட்டி etc .. இல்லை எனில் இது போன்று பல மாற்று வழியினை அரசு எப்போதோ செய்திருக்கலாம். திறமை வாய்ந்த architect நமது நாட்டில் பஞ்சமா என்ன?. இரு மாநிலங்களிடையே பிரச்னையும் இருக்காது. எப்பொழுதும் ஒரு மாநிலத்தை ஒரு மாநிலம் சார்ந்தே இருக்கிறது என்பதை அனைவரும் உணர்ந்த உண்மை. அப்படி இருக்கும் பொழுது இது போன்ற முடிவுகளை மத்திய அரசு தலையுட்டு சரியான முடிவுகளை எடுக்கலாம். தினமும் strike இல் ஈடுபடும் பொதுமக்கள் அன்றாட உணவிற்காக உழைக்கும் கூலிதொளிலாலிகளே. பத்து தலைமுறைக்கும் சம்பாதித்து வைத்து இருக்கும் சில சுயனல அரசியல்வாதிகளால் தூண்டப்டும் இது மாதிரியான பிறர்ச்சனைகளால் பாதிக்கபடுவது இரு மாநில நம்மை போன்ற விவசாயுகளும், ஏழை மக்கலுமே.